I hope you’re all having a lovely week so far. I have been in a little bit of funk this week so far and cannot seem to snap out of it, hoping to do better today. 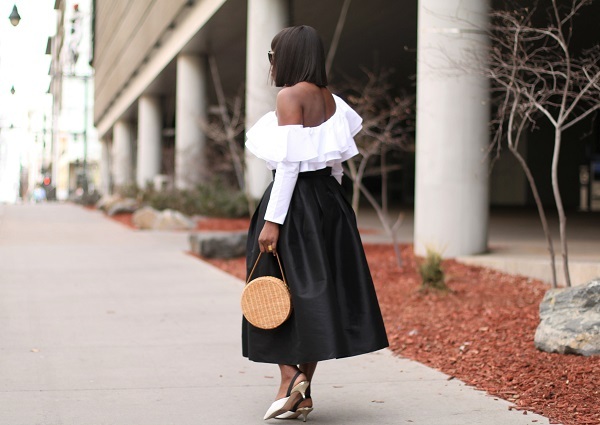 I’m sharing a look featuring one of my favourite colour combos as of late, black and white, I however took more of a lady-like approach to this look today. 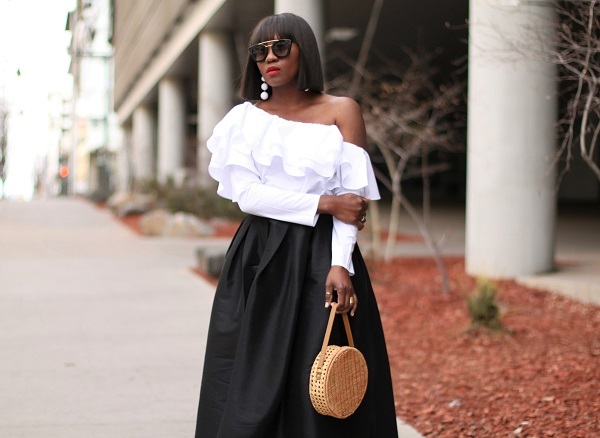 Featuring my favourite skirt, an investment piece but well worth it as it can cycle many looks over, I paired this ruffle blouse above (last seen HERE) because I love the volume on volume.